Several people have asked about the paint color in my living room. I do love this color because it is the perfect shade between gold and taupe, but leans more toward gold. If you can have both and not go too far either direction, this is the one. It does appear more gold in the photos than it really is. In the photo below it looks a little less warm. I must say that I have used expensive paints in the past, and this lower-priced paint held up just as well as the expensive ones. Beautiful! 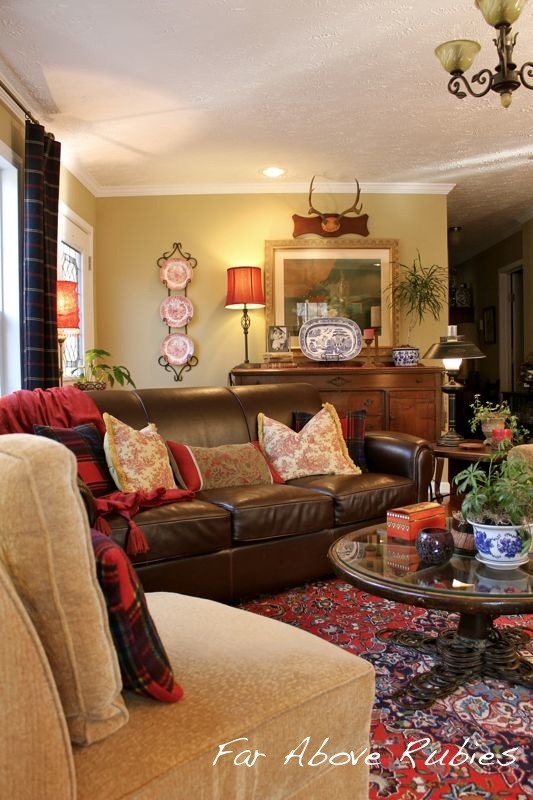 Your paint color is perfect for your warm and comfortable living room. Your living room is beautiful....the paint color is perfect! You are so sweet to share the formula with everyone too! I have always used Wal-mart paints have been satisfied with them until their recent change. I still think the paint works well but am having trouble with the colors. Since they no longer have the formula on the card and they are using an "eye" to read the color, they do not come out the same color on the card. 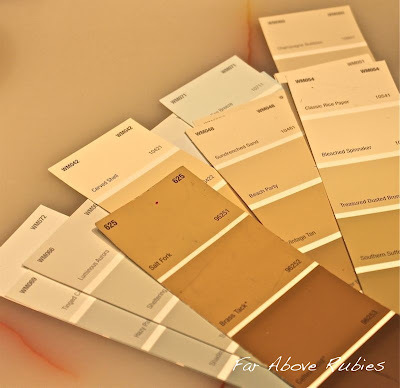 I just spent almost $100.00 for a five gallon bucket of beige buckhorn but the shade is much lighter than the swatch. Not too happy about that but it did coat well as always. Just my little plug about Wal-mart paint. It's just as good without the price if you can get the color you want now. Sheila, I noticed that they don't have the formula on the back now also. I did get a new color last week, but the guy here looked it up on his computer. But you are right it is only good if it's the right color. 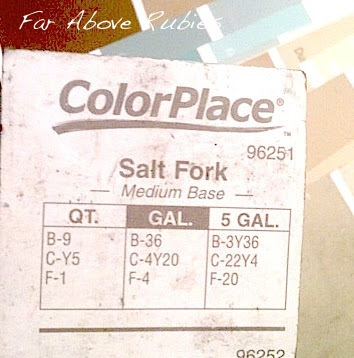 Hi Anita, Missed this post, Valspar used to be only at Walmart and we used it for years. Now they moved on to a bigger outlet. Not sure what our Walmart carries, they have been changing vendors often. 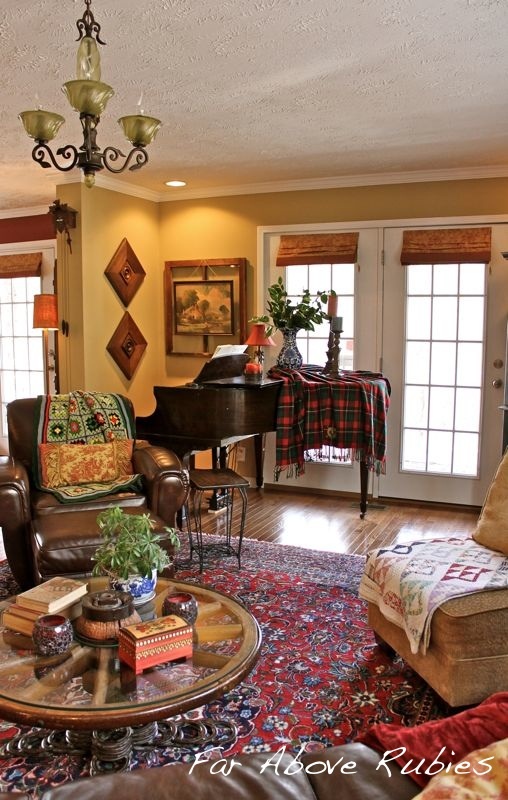 I have a similar warm gold in our Foyer, love the color you have and it is a great neutral. Thinking of a green lately for our kitchen,LOL, my husband won't be thrilled! I am so glad I found this! Our living room is also done in Salt Fork and up until recently, I had always kept a swatch of it, but somewhere in the last 4 years, I have lost it. I was devastated to learn that Walmart no longer has this color swatch available! Thanks to you, at least I have the code! Do you by chance have the color Wheat Grass? I believe it was the next swatch lighter. My dining room is painted with that and I desperately need more to continue up the stairs. I know it is a long shot, but well worth it when you love the color!